My marriage celebrant shared this quote with me when I got married! I just love it – it’s so appropriate for anyone to keep in mind when planning a wedding! “Weddings are a lot like any other occasion in life – anything can happen. 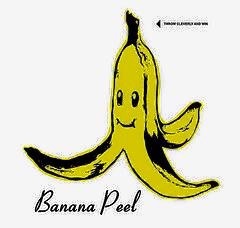 The great banana peel of existence is always on the floor, somewhere. Not only that – anything might go RIGHT. Sometimes the unexpected is an unforgettable moment that transforms a standard wedding into a memorable experience. The sweetest memories are seldom the results of planning. Forget fashion shows. Forget a performance. Forget perfection. Whatever happens gets acknowledged and included. Whatever happens – we work it in.